TypeWrytr - Write Better Content. Faster. Auto-complete suggestions for the complete English vocabulary for US & British English, so that you can pick and insert where possible instead of typing out the whole thing. The word being typed in is spell-checked as and when it is being typed in, and not after it is typed in completely. 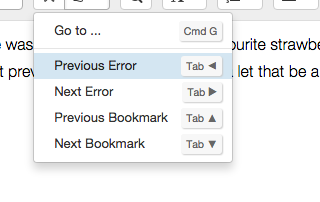 This lets you correct errors the moment you make them, instead of having to travel back from the next word or paragraph. Quickly go to the next or previous error using a single key-stroke, instead of with an arbitrary number of up/down/left/right actions. Feel free to skip this section if you don't like numbers! From the specified number of words, there will be sentences, spread across paragraphs. 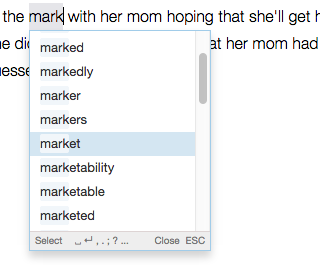 With TypeWrytr's auto-complete filling out at least three words in every sentence (you'll likely be doing it more! ), you'll save approximately keystrokes per sentence clean and straight. 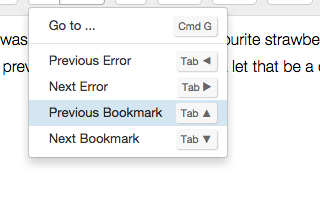 That is * = keystrokes saved. With TypeWrytr's audio error-alert and real as-you-type spell checking, you'll drastically reduce the number of additional letters typed in after you make an error. So for errors in the whole content, you can save up to keystrokes that you previously wasted before realizing the mistake plus keystrokes that you previously wasted for backspacing. Completing out such words with the spell checker's in-place auto suggest, you can save a further keystrokes. As soon as a sentence-ender (a period, question mark or exclamation) is typed in, a single space is automatically added by TypeWrytr. 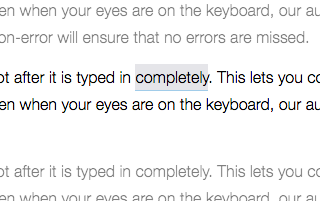 So for sentences, this means keystrokes saved. 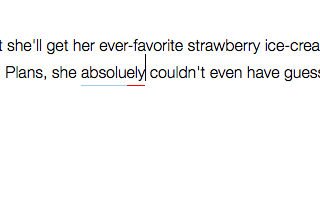 For other punctuations like commas, quotes, brackets, etc, the most appropriate letter(s) that follow(s) is/are automatically added by TypeWrytr. So assuming 5 punctuations per paragraph, you'll approximately be saving * 5 = keystrokes. 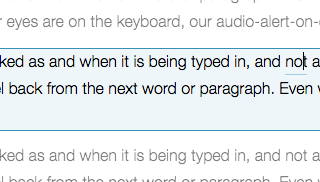 That is a % reduction in the number of keystrokes needed for the same content when using TypeWrytr. This percentage will continue improving the more you use TypeWrytr and its efficiency oriented features like easy navigation with GoTo and Bookmarks, Rapid Error Navigation and Correction, etc. Start with a free trial or choose one from monthly or annual that suits you. The free trial is for 30 days, after which you'll need to upgrade to either the monthly or the annual plan to continue using the service. 500 documents maximum. Limit replenishes every year. 50 revisions per document. Each save after the 50th will delete the oldest existing revision. 100 folders maximum. Limit replenishes each year.